Mr. John Keating, CEO of COM DEV has introduced his strategy of establishing COM DEV as a dominant second tier supplier to satellite prime contractors; it is the key strategy for the company which supplies on-board equipments internationally. 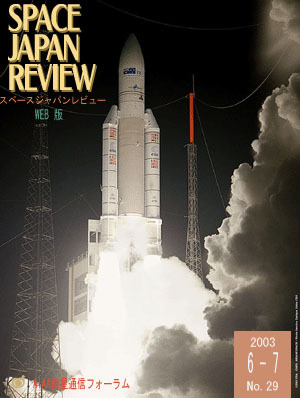 The special edition of AIAA was constructed following on the front number. The session was not adopted in CD-ROM. Such contents can be checked only in our journal. The conference obtained participation of many directions, although it was somewhat apprehensive about reduction in a participant under the Iraq war or the influence of SARS. Moreover, I received the manuscript from much person as usual, and it became a splendid magazine. USERS modules were collected safely and signs that the satellite system was used from a report. This case expects becoming the provisions of future research and development.